AIRBUS HAS ANNOUNCED that it will end production of the A380 superjumbo, the world’s largest passenger aircraft. The double-decker ‘superjumbo’, which earned plaudits from passengers, failed to win over enough airlines to justify its massive costs. The firm said it would stop deliveries of the airliner, which has been in operation for more than a decade, in 2021. It comes after Dubai-based carrier Emirates reduced its total order of the model by 39 planes. The company has faced scepticism over the A380′s future since the 1990s, when it began to envision a competitor to the hugely popular 747 from US archrival Boeing. Airbus, long held up as a shining example of pan-European industrial cooperation, suffered several costly delays before the A380′s first commercial flight in 2007. Production problems and cost overruns in the billions of euros continued to plague the project, forcing the company to report its first-ever annual loss for the 2006 financial year. Today’s announcement marks the end of a bet on how passengers would travel in the future, as airlines struggled to fill a plane capable of carrying up to 850 people. 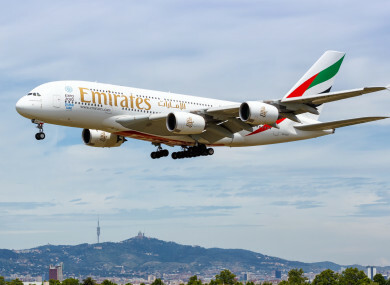 Just days after this announcement, the company appeared to get a lifeline with the latest Emirates deal, but last month Airbus admitted the airline might be reconsidering. In today’s statement, Airbus said it would deliver the last 14 A380s to Emirates over the next two years, adding that the airline had ordered 70 smaller planes from the manufacturer. Emirates’ decision means Airbus has “no substantial A380 backlog and hence no basis to sustain production, despite all our sales efforts with other airlines in recent years”, Airbus Chief Executive Officer Tom Enders was quoted as saying. Email “Airbus announces it will stop producing A380, the world's largest passenger airliner”. Feedback on “Airbus announces it will stop producing A380, the world's largest passenger airliner”.